Belle Isle, a beautiful island located between Detroit and Windsor on the Detroit River, is host to the Detroit Belle Isle Grand Prix. It is a racecar fan's dream! Enjoy several IndyCar and GRAND-AM races and more from the grandstand as your favorite racers whiz by. This is a great event for the whole family! Along with the race, there is a Family Fun Zone, and an entertainment stage that features live performances by well-known bands! 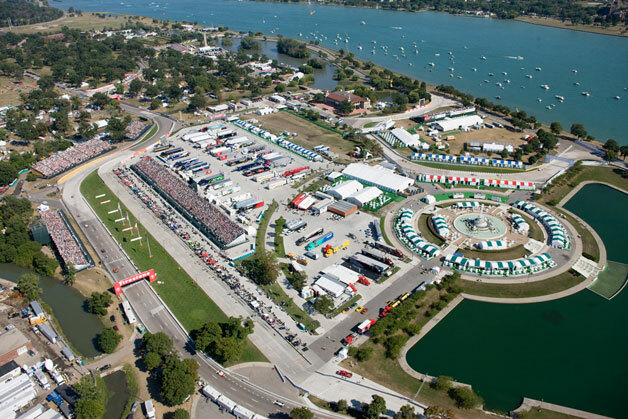 You'll have a fantastic weekend on Belle Isle when you visit the Grand Prix! You'll certainly want to get yourself to Belle Isle when the Grand Prix rolls around. There's no reason to skip out on one of the most exciting events on the Isle! Whether you're a fan of racing or not, there are activities happening on the island for all to enjoy. It's a busy time for everybody to enjoy, but you'll have a hard time getting to the Isle if you're planning on driving yourself to the Grand Prix. A much better option for transportation is a fantastic limousine or party bus rental for the Grand Prix. When you have one of these modes of transportation, you won't have to think about dealing with the stress of heavy traffic, finding directions, or getting your group together. Be sure to consider a lovely limousine or professional party bus for your Grand Prix experience on Belle Isle!